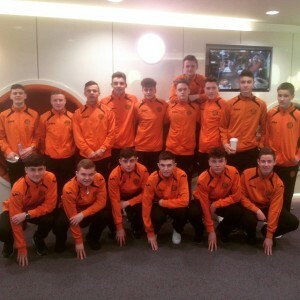 This week we have learned of the exploits of St. Kevin’s Boy’s under-16 side who went on a tour of England playing the likes of Reading and Brighton. In what proved to be a hugely beneficial learning experience for the young charges, they began by testing their skills against Southern English side Brighton Hove & Albion in an eight goal thriller. The Irish side were unlucky in defeat losing 5-3; ex-St. Kevin’s player Daniel Mandroui pulling the strings throughout the game. St. Kevin’s Boys are of course an Irish club synonymous with developing some of the finest talents to leave Irish shores in recent years, with young Mandroui’s recent exploits no surprise to the coaches there on the day. Next they took the short journey north to play Reading, near London. In what for most of the game was largely a tight contest, the Irish side were impressive throughout. Losing just 1-0 at half-time it seemed a draw, if not victory, was still in their grasp. Sadly, an injury stricken side resulted in many changes required. The deleted side fell victim to the class of Reading in the second half, eventually losing 4-0. Despite the loss, the trip proved hugely helpful for the side’s continued development.